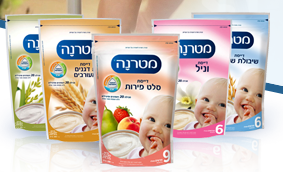 Kosherfrugal.com - Frugal Living in Israel: Coupon (Israel)! If you use baby cereal for a little one, you can sign up to get a coupon sent to you. Sign up at the Materna site! Be sure to put it coupon code 699 where it asks for it!